Illawarra Fly Treetop Adventures is an award-winning destination that provides the most exhilarating treetop walk and zipline experiences across Sydney. Perfect for adrenaline junkies looking for an unforgettable experience in the outdoors, this 2.5 hour adventure is an exhilarating place for thrill seekers of all ages. There are several fun activities to look out for while at the walk. These include the treetop walk, zipline tours, as well as nature walks on the rainforest ranger trail. Take a walk through the treetops, a 1.5 kilometre stretch that gives you beautiful views of the rainforest 30 meters above the ground. This bird’s eye view is an excellent alternative to the conventional nature walk. The walkway ends at the Knights Tower; a breathtaking structure that rises 45 meters above the floor of the lush forest. If you are not afraid of heights and would love a new experience, take the swaying springboard beams to the edge of the ridge and get rewarded with spectacular views right from the edge. The zipline tours are a fun and thrilling experience that takes you through the heart of the magnificent Southern Highlands rainforest. This is actually the highest zipline tour around the country. 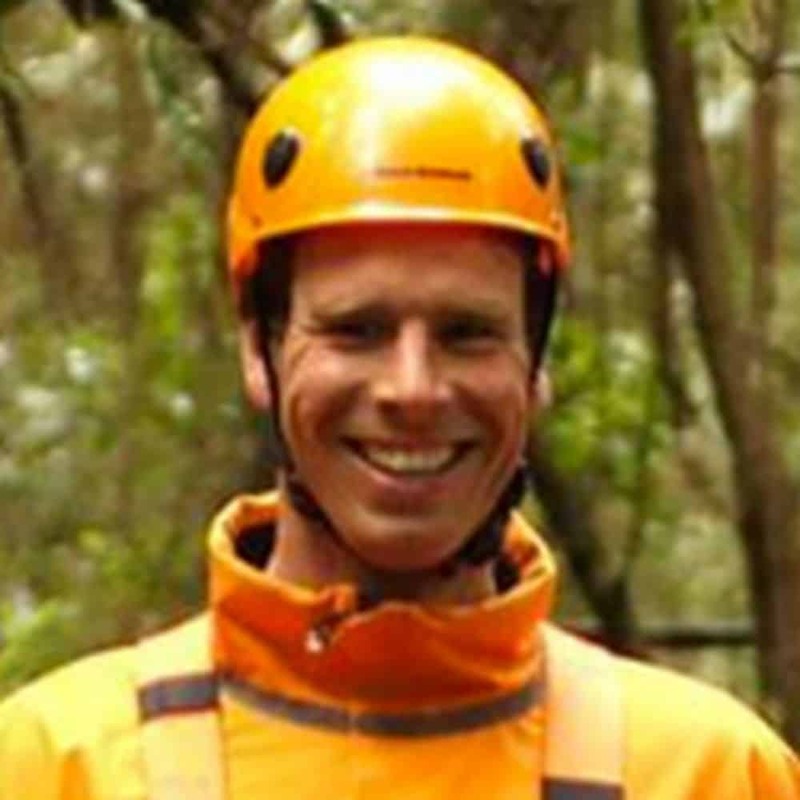 It involves flying on a number of raised cable spans, taking on suspension bridges and connecting from one tree platform to another. All of this action happens 35 metres above the forest floor! You may also enjoy the bushwalks and guided tours. The sunrise guided tour is a favourite for many, thanks to its gorgeous views. Breakfast is included in the cost of the ticket, and advance bookings are required. Amenities available at Illawarra Fly Treetop Adventures include a cafe that serves up tasty treats, and a visitor centre from where you can get more information about activities on site. 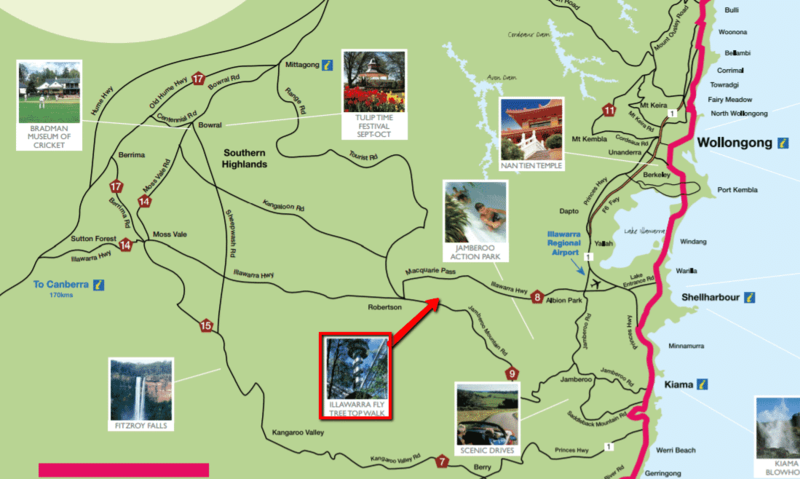 Make your way to 182 Knights Hill Road using the Jamberoo Mountain Road.